Attendees at the Jan. 18 green infrastructure workshop in Bayonne. As communities across New Jersey are looking at their options for eliminating combined-sewer overflows (CSOs), working with private developers is going to be part of the discussion. “We need to turn our cities into sponges,” said Louise Wilson, New Jersey Future’s green infrastructure manager, in her introduction to “The Benefits of Green Infrastructure,” a workshop for developers and design professionals that was held in Bayonne Jan. 18. Twenty-one municipalities, including Bayonne, are in the process of developing Long Term Control Plans that will reduce CSOs and localized flooding and improve water quality. 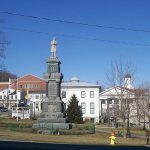 Implementation could cost these towns in the millions of dollars. Green infrastructure (GI) is one of the alternatives municipalities are looking at as a way to eliminate CSOs by reducing and filtering the amount of stormwater going into the wastewater system. Bayonne is also experiencing a development boom at the same time that the city is coming up with its plan, so engaging developers now could help Bayonne tackle the challenge of transforming the city into a sponge. 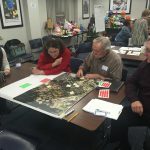 The workshop was organized as part of New Jersey Future’s efforts to foster authentic citizen engagement in decision-making related to green infrastructure implementation and combined-sewer overflow solutions. 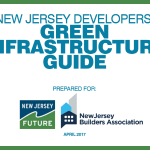 For towns like Bayonne, with limited public space to install green infrastructure projects, there is an opportunity to incorporate green infrastructure projects on private property. 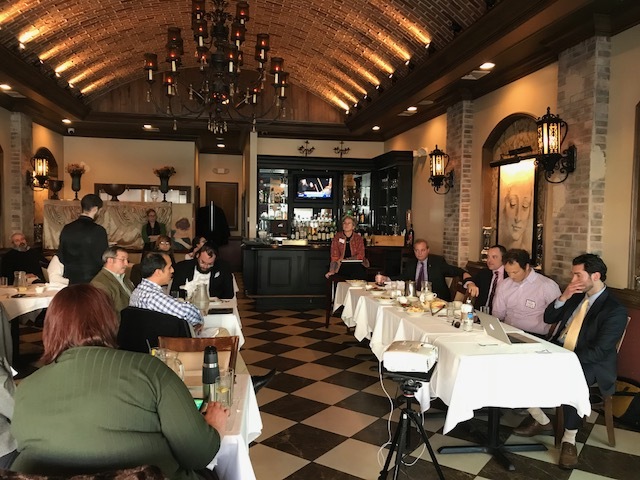 At the workshop, developers and design professionals heard from a panel of their peers including an engineer, a landscape architect, a planner, and a developer and a representative from the New Jersey Environmental Infrastructure Bank. 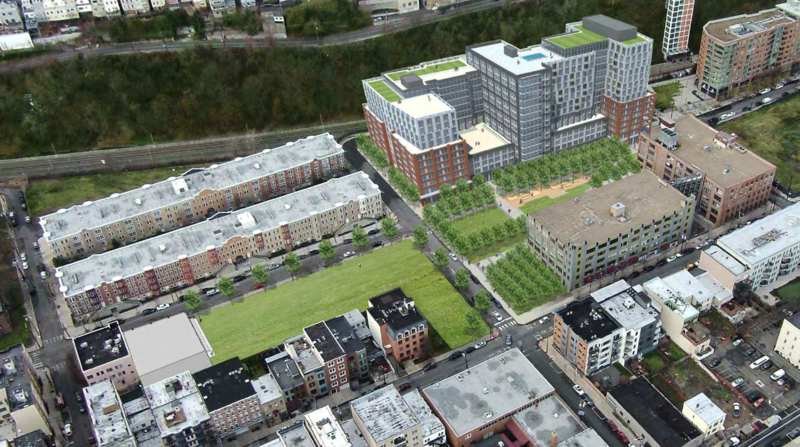 Rendering of the Seventh and Jackson project in Hoboken. The Seventh and Jackson redevelopment project in Hoboken was used as a case study to show the benefits of including GI in a private development project. In addition to a 14-story residential and commercial building, the project includes the construction of a new gymnasium that will be donated to the city, as well as the creation of approximately two acres of public open space that includes an underground stormwater detention system that will hold a volume of stormwater over the entire project site roughly equal to that of a 10-year storm. The project also included the extensive remediation of multiple properties that had been contaminated and had gone unremediated for years. In its role as both the site engineer designing the site’s stormwater management system, Langan was able to capitalize on these two objectives and utilize the large excavations being done for remediation purposes as the location for the underground stormwater detention system. Langan was also able to coordinate closely with the North Hudson Sewerage Authority (NHSA) staff to allow NHSA to control the release of stormwater from the system remotely, in order to avoid peak flow times as storm runoff is discharged from the city’s system. Bijou Properties, the project developer, is an industry pioneer in green building. Matt Testa, Bijou’s director of construction, described how they chose the site based on Hoboken’s need for development away from the waterfront and near public transportation. Stormwater management was taken into consideration from the start of the project, which allowed for a creative optimization of the space. By building a 14-story building on one of the lots they were able to develop the other lots into the public spaces that the city and community needed and that allowed for the stormwater detention and GI amenities. Gregg Woodruff, senior project designer/sustainability leader at Langan, described the overall planning process many urban redevelopment sites go through, including the importance of community outreach. He emphasized the need to define opportunities and constraints of the project, to go to the public and get input, to understand the community’s needs as well as redevelopment law and process. Using Bayonne as an example, he suggested that developers and the city are both prioritizing transit-oriented areas and previously developed areas that are prime to be redeveloped based on existing infrastructure. Green infrastructure basics were presented by David Lustberg, chief executive officer and managing principal at Arterial. 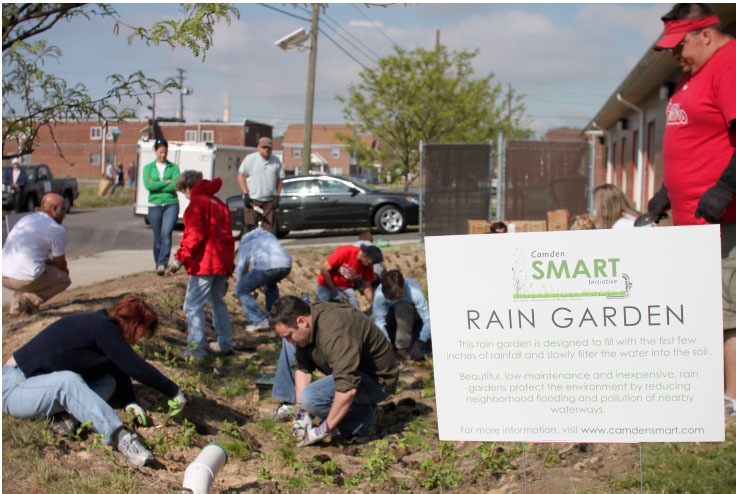 Reducing impervious surface, using native landscape materials, increasing tree canopy, capturing and reusing rainwater, and slowing the infiltration of stormwater with raingardens, infiltration planters and flow-through planters are the starting points for developers to include GI in their projects. He showed how they connected the infiltration beds, detention system and bio-infiltration planters at the Seventh and Jackson redevelopment project. An entire slide was devoted to maintenance, emphasizing that having a plan for maintenance needs to be part of the implementation. So how do developers finance these projects? David Zimmer, executive director of the New Jersey Infrastructure Bank (NJIB), presented financing opportunities. The NJIB and DEP provide loans to towns for redevelopment projects. Success accrues to the four P’s: public local government gets economic development like green infrastructure and complete streets; public state government gets economic development and strategic objectives; the private developer gets a completed project and appropriate profit margin return; and the private funder gets risk-weighted return on funds. 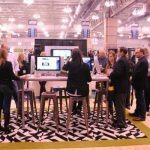 Visit the New Jersey Infrastructure Bank at njeit.org for more information. The resounding message to developers who attended the workshop was that including green infrastructure in projects is an amenity for the community and city and benefit to the developer that could help get projects built and financed.